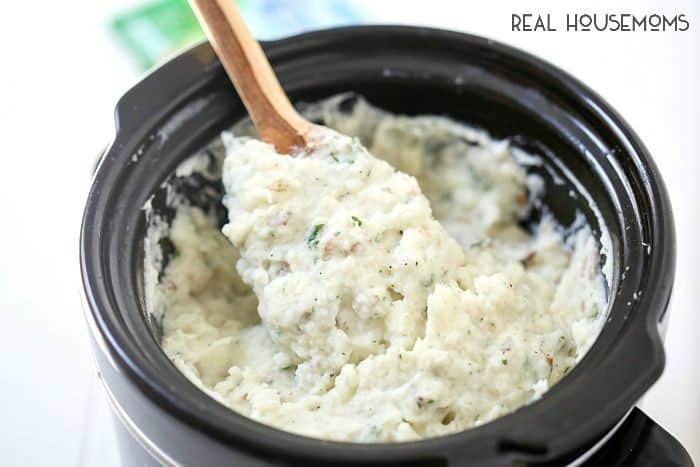 Crock-Pot Ranch Mashed Potatoes are the silkiest and creamiest mashed potatoes ever! Have you ever tried making mashed potatoes in your crock-pot before? If not, you must try it! It really does make the best mashed potatoes. They are incredibly easy to whip up. The best part, you can even whip them in the crock! A couple of things to remember when making your mashed potatoes in the crock-pot. You do not have to add water to the crock like you typically would with a pot. You heard that right. I told you they were easy. You will want to add your spices after the potatoes have are tender. You may have heard that cooking your mashed potatoes in the crock-pot will make them gluey. That’s far from the truth, in my experience. The gluey texture is a result in over-beating your mashed potatoes. One thing to keep in mind, is to beat your mashed potatoes with a handheld mixer. You have more control than a stand-up mixer. Another thing I love doing differently in my mashed potatoes is adding sour cream when I beat them. I still like to add a little milk, but the sour cream makes them silky and creamy. 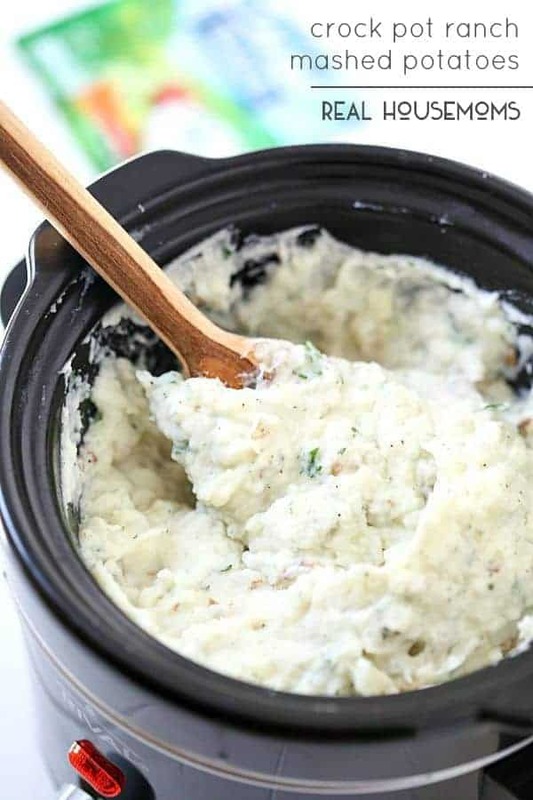 If you’re looking for my delicious slow cooker recipes try this recipe for slow cooker loaded mashed potatoes or my other best crock pot recipes! Get more great recipe like this one on our Real Housemoms Side Dish pin board! Place the potatoes in a 2-quart crock-pot and cook for 3 hours on high. 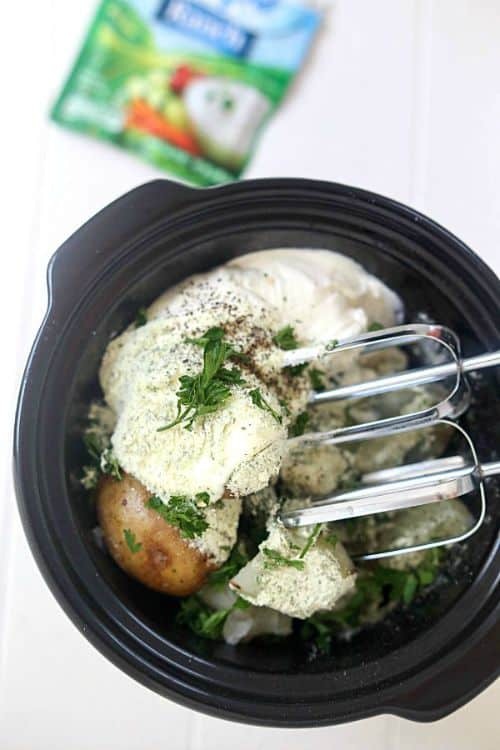 Add the milk, sour cream, ranch seasoning, black pepper, and parsley on top of the potatoes. Beat until creamy.